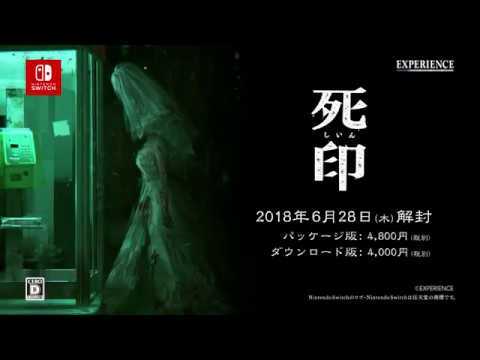 Aksys Games has announced the release date for Death Mark’s Nintendo Switch version in the west. The game will arrive on Halloween (October 31, 2018) in two forms – standard edition and limited edition. The Limited Edition comes with a copy of the game, artbook, soundtrack CD, temporary tattoo, slipcase, and a copy of the game. Check out more details and an image for the PS4 Limited Edition below. 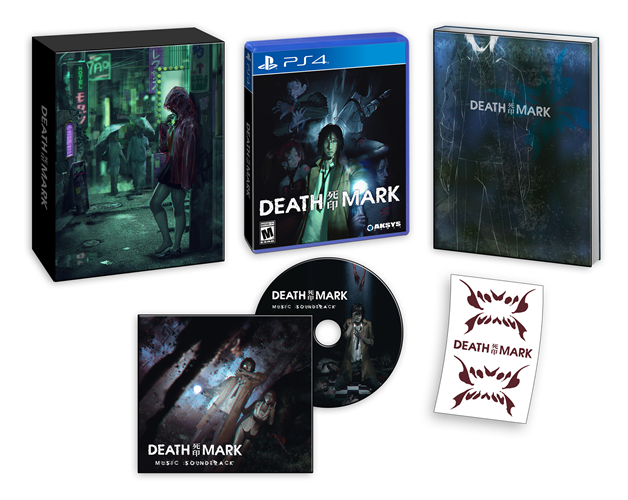 Aksys Games opened the creaky old door of their rundown mansion to reveal what evils await in the Limited Edition package of the highly anticipated survival horror adventure game, Death Mark. Coming on Halloween (naturally) for the PlayStation®4 system, the PlayStation®Vita system and Nintendo Switch™, the LE will include an exclusive 96-page full-color hardcover artbook, a spine-chilling soundtrack CD, a temporary tattoo of the fatal Mark, and a dramatic printed slipcase to entomb everything. Ghost Busting – Sometimes the sword is more powerful than the pen. And when words fail it’s time to stand your ground. Remember the price of not holding your own is an untimely death. Riddle Me This – It’s not enough to defeat the spirit that cursed you, you need to do it in the right way. If you don’t you might survive, but end up wishing you hadn’t. Be sure to parse all the clues and information you discover correctly to make your life continue to be worth living.